How to Call Mongolia from the U.S.
To call Mongolia, you can use either your Ooma Telo-connected home phone or the Ooma Mobile app. First, to exit the U.S. phone system, dial 011. Next, dial Mongolia’s country code, which is 976. Finally, dial the phone number with area code, which is either 8 or 9 digits. For Mongolia, there are a few important considerations to keep in mind. You may encounter listed numbers beginning with a “0.” That 0 is a “trunk code” and is part of Mongolia’s national dialing format (just like how we in the U.S. sometimes use “1” when dialing a long distance number). Dial only the numbers after the 0 to ensure the call goes through properly. Landline numbers will be either 8 or 9 digits, with all other numbers (mobile, VoIP, etc.) being 8 digits. When calling using the Ooma Mobile app, you will not use any minutes or incur international charges on your wireless bill. Instead, these calls are routed over your data connection and may count against your data allotment if you’re not on an unlimited plan with your carrier. Connect to a Wi-Fi hotspot before you place calls to minimize data usage, if possible. Calling another Ooma customer, regardless of which country they’re in, is free of charge for as long as you want to talk. If you encounter any issues or have any further questions, feel free to get in contact with us via our Customer Support website at https://support.ooma.com. International phone calls can be complicated and sometimes very expensive when calling Mongolia. 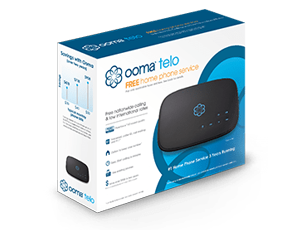 With Ooma Telo, however, it’s affordable and simple. Using Ooma’s Basic Service or Premier Service, calls to Mongolia landline phones are billed at $0.142 per minute. Thus, a 10-minute phone call costs $1.42 under this plan. If you’re calling a mobile phone number, the per-minute rate is $0.235. Basic Service is prepaid, so charges are deducted from your prepaid balance, while with the Premier Service, tier charges are billed in addition to the $9.99 monthly charge for that plan. While Basic Service has no monthly fee for crystal clear nationwide calling, Premier Service offers a whole host of powerful features for a low monthly charge. For example, Premier Service customers get powerful call blocking features to protect them against telemarketers and robocalls as well as an Instant Second LineTM, which allows you to make and receive calls even when your primary line is in use, use of the Ooma mobile app to make calls from your mobile phone from anywhere, voicemail access through email and text notifications, free unlimited calling to Canada and Mexico plus many others that Basic Service doesn’t provide. Ooma’s rates are a deep discount compared to other long distance providers. On a per-minute basis, Verizon charges you as much as $1.99 per minute, as much as 10 times what you’d pay with Ooma. Ooma to Ooma calls are 100% free regardless of the amount of time you talk, so if your contact in Mongolia is also an Ooma customer, you can talk as long as you want and it won’t cost a penny. You’ll also have calls in crystal-clear HD voice, which is much better quality than standard telephone lines can provide. Besides the Basic and Premier Service plans, Ooma offers two international calling plans, one of which provides unlimited calling to Mongolia regardless of whether it’s a landline or mobile number. The Ooma World Plan gives you unlimited calling to landline numbers in 60 countries and mobile numbers in 10 countries for $17.99 per month. This plan is perfect for those looking for a low-priced option for unlimited international calling in the most frequently called countries worldwide. This plan does not include unlimited calls to Mongolia, so any call is billed at $0.142 per minute for landline numbers and $0.235 per minute for mobile numbers over and above your monthly plan charge. Stepping up to the Ooma World Plus Plan provides even greater flexibility for where you can call without having to worry about how many minutes you use, and includes calls to Mongolia mobiles or landlines. In total, this plan includes unlimited calling to landlines in 70 countries and mobile phones in 40 countries, and costs $25.99 per month.